Scientific Certification Systems (SCS) has announced the promotion of Nick Kordesch to the newly created position of Marketing and Communications Specialist for the company’s Natural Resources division, which includes the company’s Forest Stewardship Council (FSC) and Marine Stewardship Council (MSC) certification services. SCS is pleased to announce the expansion of its marketing team as the company looks to grow internationally and here in the US. 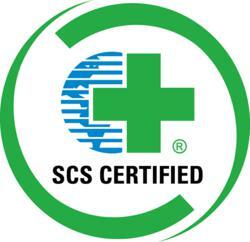 SCS is the leading FSC certification body in the United States and was the first company to earn MSC accreditation. Kordesch will also lead marketing efforts for SCS’ growing Carbon Offset Verification program and responsible biofuels certifications. “SCS is pleased to announce the expansion of its marketing team as the company looks to grow internationally and here in the US,” said Dr. Robert J. Hrubes, senior vice president. Before joining SCS in 2009, Kordesch worked at Natural Logic, a strategic sustainability consulting firm that serves corporate and government organizations. He is a co-author of The Truth About Green Business with Gil Friend and Benjamin Privitt. In previous work, Nick conducted field and laboratory research for the Forest Pathology laboratory at the University of California, Berkeley. Kordesch holds a masters degree from the Donald Bren School of Environmental Sciences at the University of California, Santa Barbara and an undergraduate degree from the University of California, Berkeley.